After the first test flight this summer, I had some work to do to the plane before a second attempt. 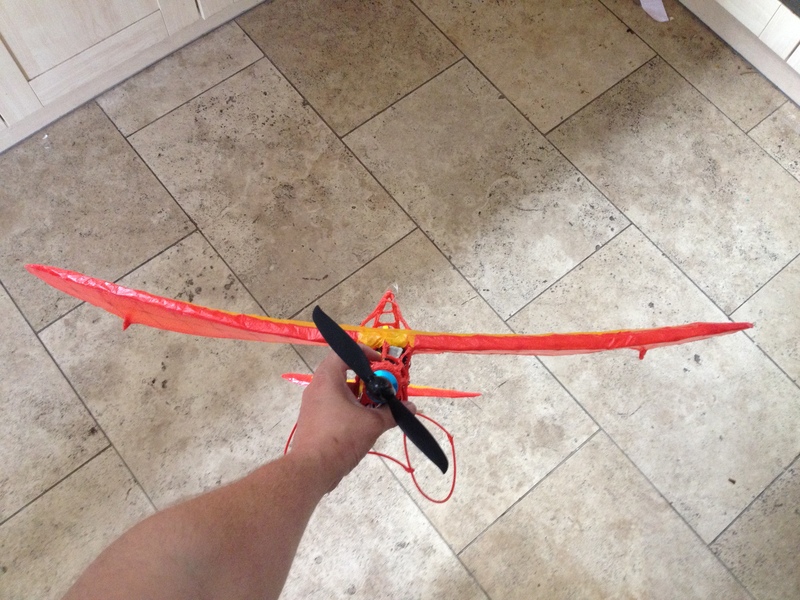 Along with some repairs I also needed to improve the balance, wing shape and control surfaces. The following is a bit of a description of how I made these mods and at the bottom of this page is a high speed doodling video of the whole thing. The wing shape was not great, it was curved and fluted in the wrong places when it needed to be straight and smooth. The problem in changing the wing shape is that a re-build of the wing was really needed and I didn’t want to do that. 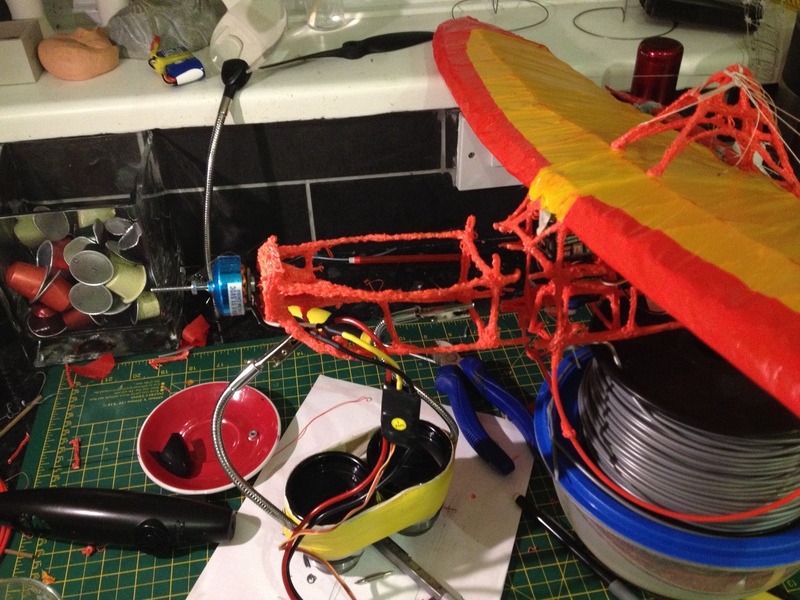 I decided to try and force the wing into a better shape by tensioning it up to a central pylon. First off I melted through the wing covering and 3Doodled 4 mounting points to the back of the wing. Then I traced out the mounting points onto paper and 3Doodled the sides of the pylon to suit the mounting points. 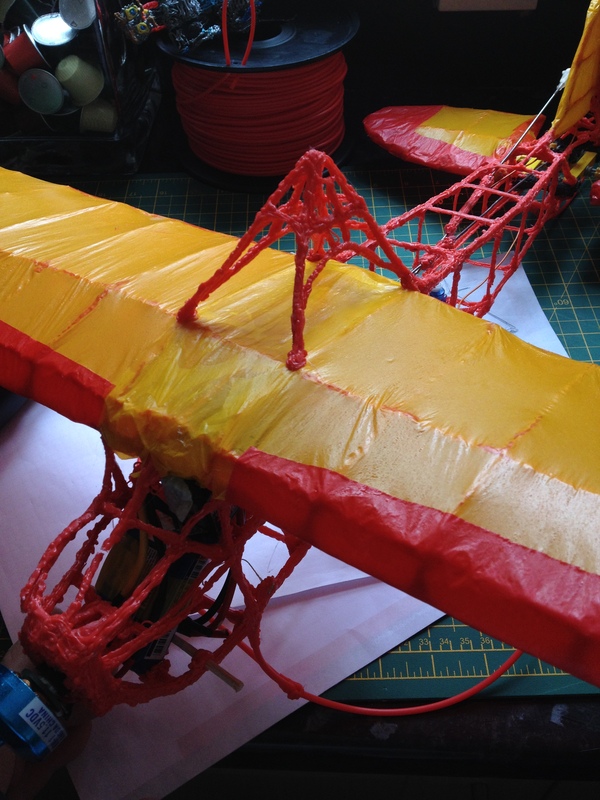 With the sides built I mounted them directly to the points I had prepared on the wing and then used a nylon string to pull the wing tight. 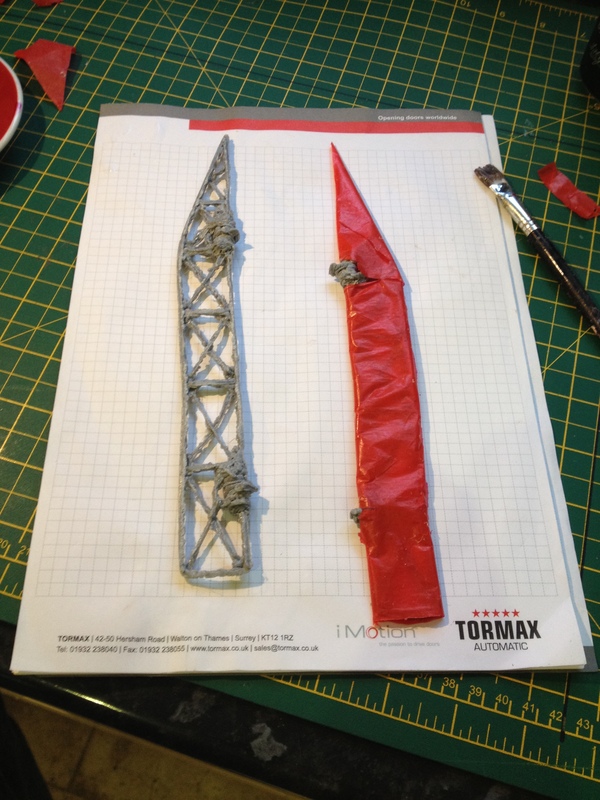 It seemed to work well enough, I took a comparison picture below, the left hand side is not tensioned and the right is. 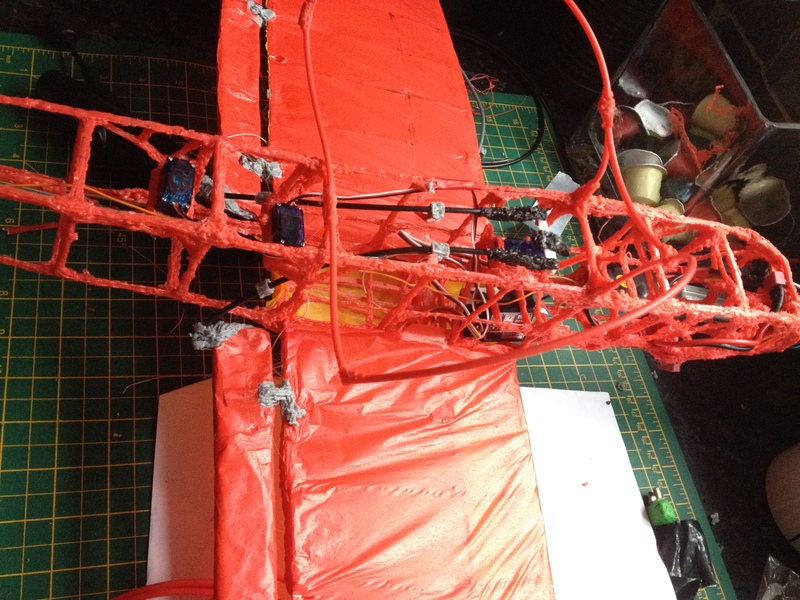 Now that the wing is tensioned up I can no longer use the wing deformation method in place of ailerons. In hindsight this was a pretty bad idea in the first place as deforming the wing to control roll meant I was pulling the wing even further out of shape. Instead I opted for more traditional ailerons. I made a basic frame and mounted a couple of 3Doodled hinges in them before covering with the same material I used for the wings. 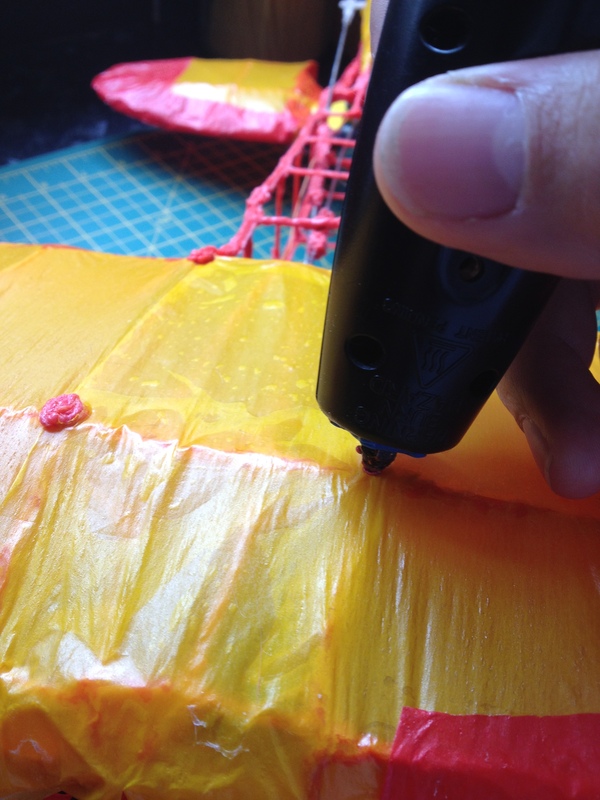 The hinges are pretty straight forward, you just need to 3Doodle around something the same size as the 3Doodler filament to make a tube and cut into pieces. 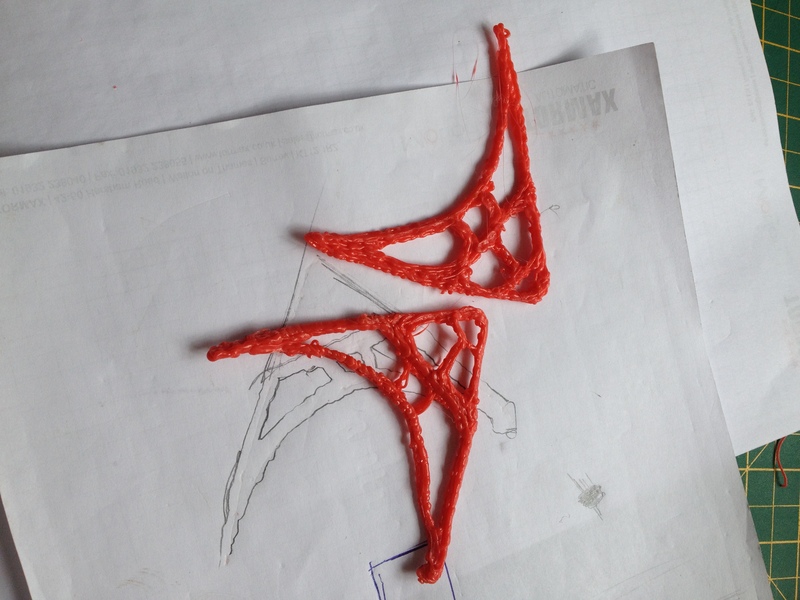 Then you can use the filament as the hinge pin and slide the hinge pieces over. I’ll see if I can put a short “how to” together on this if anyone is interested. So it turns out balance is pretty critical with planes otherwise the stall or just plummet to the ground like we saw in my first test flight. To fix this I needed to push the centre of gravity further forward by extending the nose of the plane. 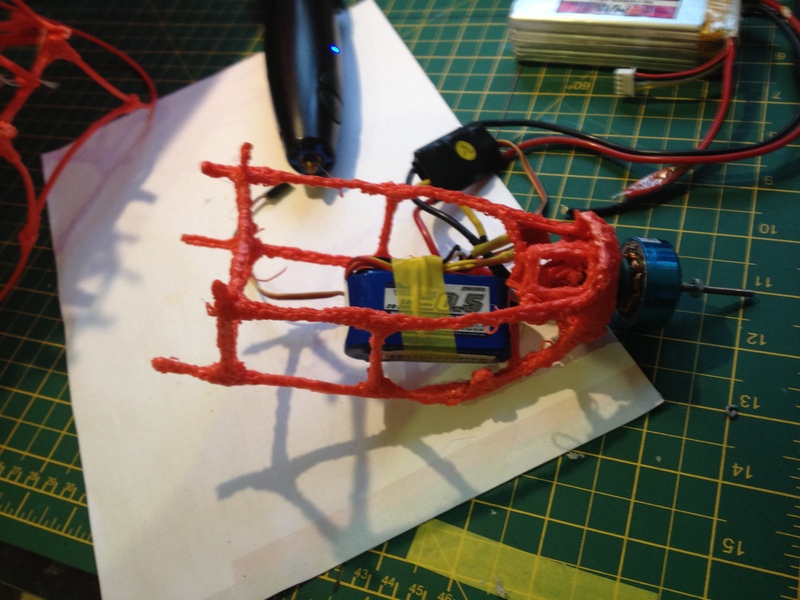 This was a fairly major alteration but it is also the sort of job that the 3Doodler is great for. In short I cut the nose off, made a longer one and welded it back to the body. Cutting the nose off and sketching out the new one. Checking both battery sizes for fit. The nose mounted back on the plane. Simple really! If you have the patience to watch it all then I filmed the whole process of modifying the plane (apart from the pylon) and you can see it below. At about two and a half minutes into the video my 3Doodler breaks. I had been forcing the filament through the pen and it shredded the drive gears. 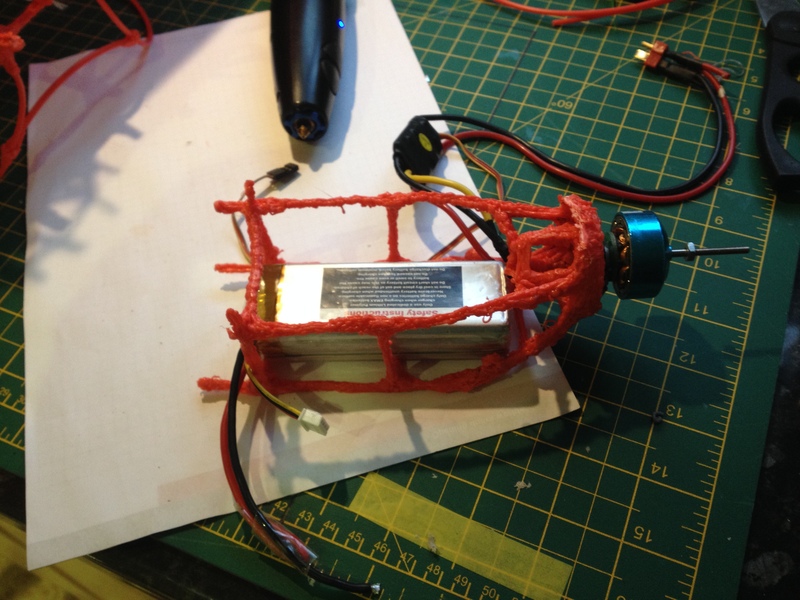 Fortunately the 3Doodler team were amazingly supportive and helped me out with a new gear box which I fitted myself and you can also see this in the video. 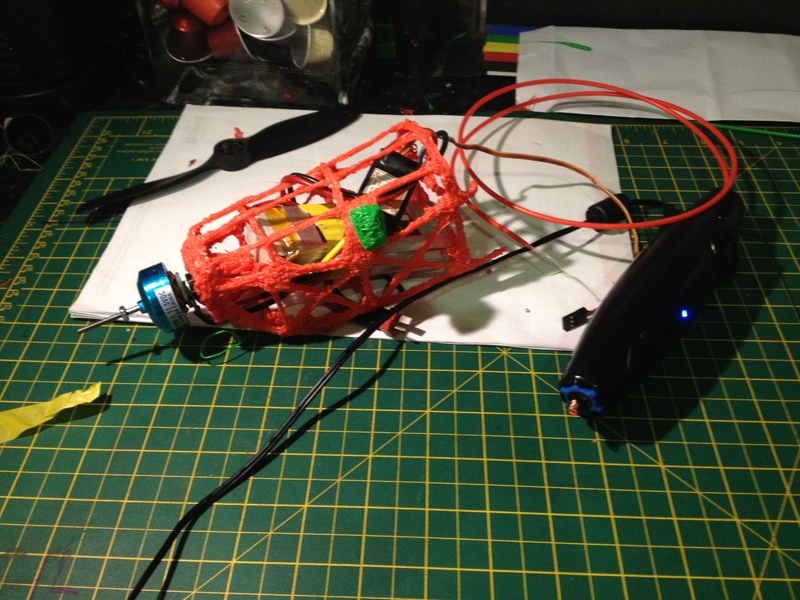 Don’t force the filament through the 3Doodler! 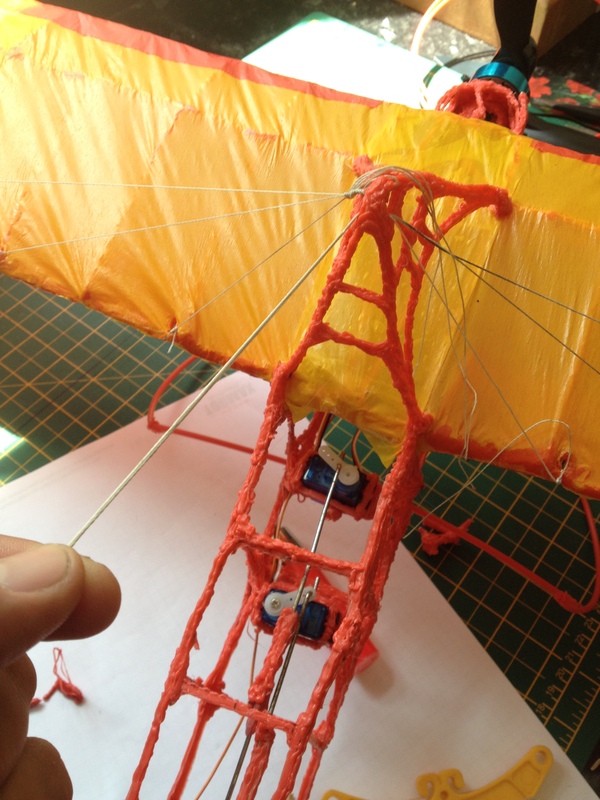 A little bit of pushing is ok and can be necessary when changing filaments but don’t continually push it through if it’s going too slow! Try making hinges and pivots and cams and levers and other mechanical things. Just about anything can be done if you just think it through. I like to doodle around a bolt, the plasic takes on the form of the thread and you can actually make a good mechanical connection. 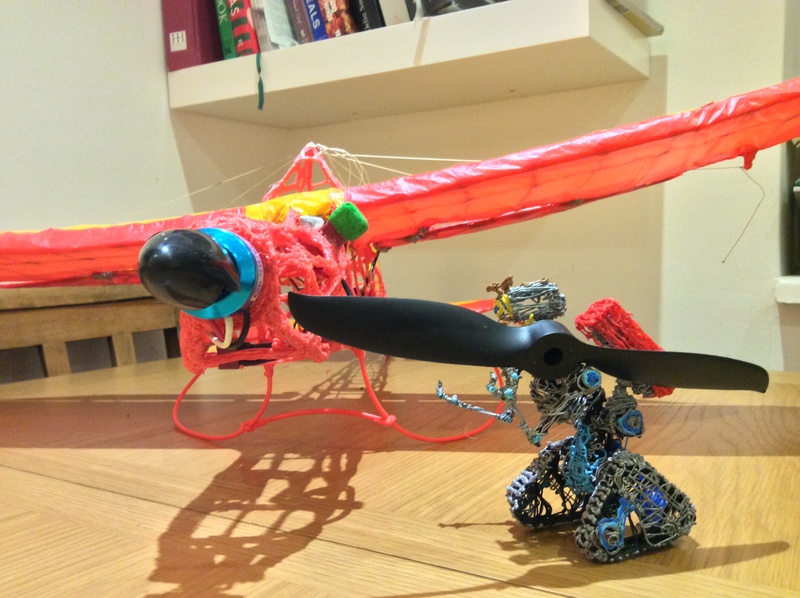 If you are interested in planes then find your nearest club and get in contact, I have found the model aircraft community to be incredibly friendly and supportive of this project. There are clubs all over the place and more than likely one near you. Don’t try and fly without them! Follow @MattBishere for regular updates on my projects! 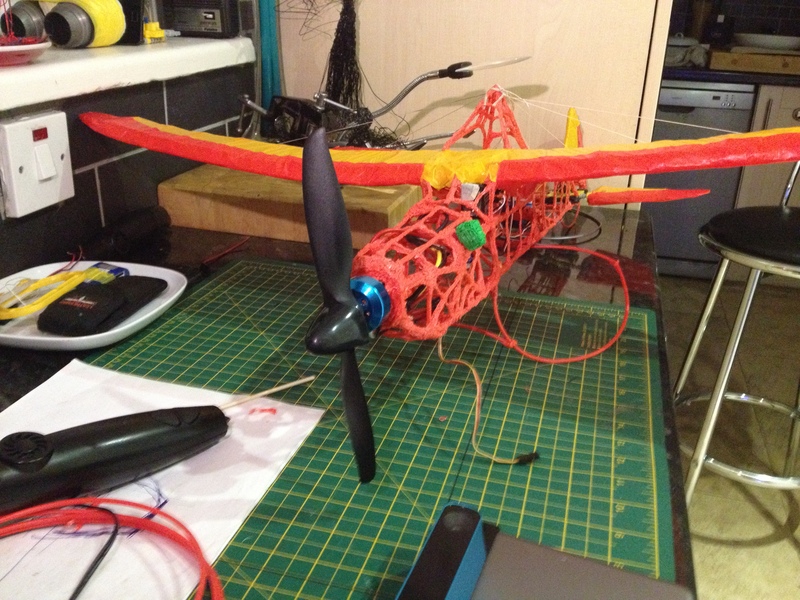 ← 3Doodler Plane – World Record?